Justin Gatlin, who has twice been suspended for doping, could face another probe following an undercover investigation by a British newspaper. The American sprinter has denied taking performance-enhancing drugs. The 35-year-old world 100-meters champion released a statement via his Instagram account in which he said he was "shocked and surprised" to learn that his coach, Dennis Mitchell, would be implicated in anything to do with doping. "I fired him as soon as I found out about this. All legal options are on the table as I will not allow others to lie about me like this," read Gatlin's post. The statement came in reaction to a story published in The Daily Telegraph on Monday, in which it reported that Mitchell and athletics agent Robert Wagner had offered to provide undercover reporters with prescriptions for performance-enhancing drugs and smuggle those drugs into the United States. According to the newspaper, the substances in question were testosterone and human growth hormone, which Mitchell and Wagner allegedly offered the reporter for a price of $250,000 (€212,000). The Daily Telegraph said the Athletics Integrity Unit (AIU), set up this year by the International Association of Athletics Federations (IAAF), had launched an investigation into the allegations. The US Anti-Doping Agency (USADA) are also investigating. "We are presently coordinating with the Athletics Integrity Unit in order to investigate these claims fully," a USADA spokesman told the paper. "These allegations are extremely serious and I know the independent Athletics Integrity Unit will investigate in accordance with its mandate," IAAF President Sebastian Coe said. The newspaper said it had launched its investigation in July after hearing of agents and trainers involved in supplying drugs to athletes. It said its reporters had gone undercover posing as film production company representatives seeking people to train a film star. 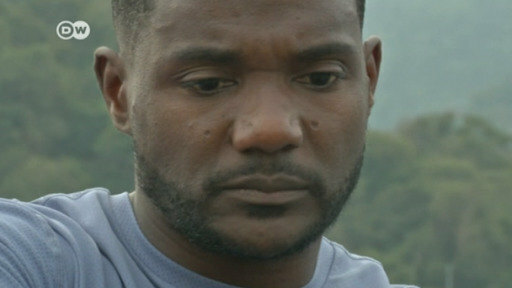 Gatlin has twice been banned from competition after being found guilty of doping, for one year in 2001 and for four years in 2006. An undercover sting from the "Daily Telegraph" has brought up doping allegations against the world 100 meter champion’s coach and agent. Gatlin had already been banned for doping twice. Anti-doping authorities have launched an investigation.